To use our Golden Al Wafi Android app, you can download it from here. To use our Golden Al Wafi Windows app, you can download it from here. ATA Software have combined outstanding technological advances, together with several years of translation expertise and research, to make ATA a world leader in the English to Arabic machine translation market. These products, in their latest versions, offer great improvements over previous versions, and outclass the competition with ease. If you want power, ease of use, and the most sophisticated English to Arabic translation, then choose ATA Software. It is also clear that the choice of machine translation has great impact on the results. For instance, the best precision result achieved using Systran is 0.0479 which is below the baseline result for Google and AlMisbar ranslates. Overall, AlMisbar is the best of the three translation systems; it produces the highest precision when using light stemming. Figure 5 shows the impact of the translation system choice on retrieval performance when applying light stemming. ‘Golden Al-Wafi® Mobile Translator and Dictionary’. The English-to-Arabic translation app is based on the worldwide famous ATA translation engine developed back in 1994 and which is continually updated. The main dictionary contains more than two million English and Arabic words, as well as incorporating about 50 science and technology dictionaries. Golden Al-Wafi® Mobile Translator and Dictionary is the mobile version of the well-known desktop version of Golden Al-Wafi® English to Arabic Translator, which is still currently used by millions of users in the Arab World and beyond. Fast and accurate English to Arabic text translation. An English to Arabic dictionary. An Arabic to English dictionary. A clear, concise and easy to use user interface in both English and Arabic. The ability to turn on/off Arabic vowels/diacritics (Harakat). The ability to select from a list of twenty-four specialised dictionaries, e.g. Medical, Law or Technology … etc. The ability to copy/paste new text to and from the translator or dictionaries to e.g. a text file or a web browser. The ability to save the output of the translator or dictionaries to a file, this could then be shared between other devices/PCs/Laptops via Bluetooth or a USB data cable. In 1995, ATA software released version 1.0 of Al-Mutarjim Al-Arabey for PCs and Macintosh. In 1996 version 2.0 was released and in 1997 version 3.0 on CD-ROM was released. Also in 1997, ATA Software released a special version of its well-known now translation engine in a new product named Al-Wafi® Arabic Translator. The new software was aimed at the schools and university students in special and also at the general public at large. Al-Wafi® met with immediate success and its name became another name for Arabic translation software. In 2000, ATA Software released an electronic bilingual Arabic-into-English and English-into-Arabic dictionary named Al-Wafi® Quick dictionary. It works from inside most of Windows compatible programs. In 2004 A special version of Al-Wafi® Quick dictionary aimed at students and schoolchildren was released and appropriately named Al-Wafi® School dictionary. The software presents a detailed English/Arabic verb morphology viewer coupled with an extensive English/Arabic - Arabic/English dictionary designed to be a companion to those who need constant dictionary lookups whilst maintaining the flow of the rest of their work. It works from inside most of Windows™-compatible programs. This is a dictionary of the morphological terms of all Arabic 3-letter root verbs. This dictionary has been developed for the Apple Mac computers and can be downloaded FREE from the Apple App store, please search for 'wafi-s'. ATA - Latin Name Transliteration System. This system has been designed to transliterate into Arabic names written in the English/Latin alphabet A-Z and display them in Arabic letters. For example, the Turkish name (Ahmet) will be transliterated to (أحمد), and the name (John) will be transliterated to (جون). If a foreign letter does not exist in the Arabic alphabet then it is approximated to the nearest Arabic letter. For example, the Latin name (Gabriel) will be transliterated to (جبرائيل). ATA-NTS incorporates powerful transliteration routines as well as approximation routines that “guess” the possible Arabic transliteration/equivalent for a name written in English/Latin alphabetical characters. In 2000 ATA Software launched the first online service. This service at www.almisbar.com was a great success right from the start with millions of hits per day and many millions of web pages and text were translated. It was another first for ATA Software. To recoupe some of the development costs, ATA announced, In 2003 that the online translation at www.almisbar.com become accessible Worldwide only via nominal pre-paid subscription fees. A new dealer agreements were signed with local agents in Saudi Arabia, Egypt, and Syria to provide the service at local level. 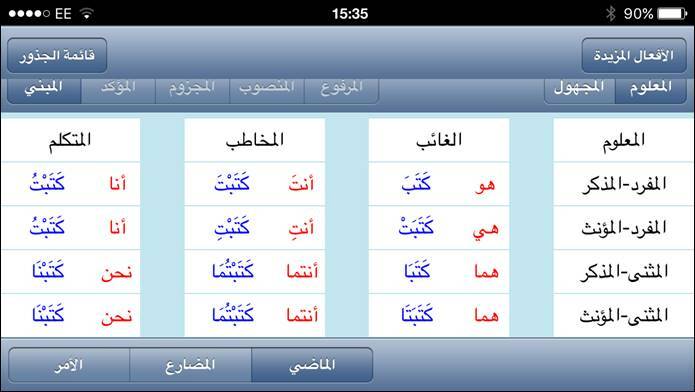 ATA Software developed a full Arabic Language Corpus System. Al-Mudawana Al-Arabiya is a massive collection of texts of written Arabic in electronic form, covering a period of more than 15 centuries. Over 700 million words of written text, old and new, from different sources including published works, manuscripts, computer generated text such as Internet website content, electronic books, newspapers and magazines have been collected. Development of the Al-Mudawana continues to reach a record number of words of 5 billions. Copyright © 1992 - 2019 ATA Software Technology Ltd London. All Rights Reserved.